How to teach your child to problem-solve in 5 easy steps! Problem-solving is an essential skill that helps children become more independent, get along with others, succeed in school and be more resilient. And these are just a few of the benefits of being a good problem-solver! As adults we problem-solve automatically. If you open the fridge door in the morning and discover you are out of milk for breakfast you immediately switch to making eggs or toast. Not much thought involved, you just do it. You don’t necessarily even recognize it as a problem. It’s different for kids, though. Kids are just starting to develop their ability to problem-solve around age 3. Their problem-solving and reasoning skills, also known as “executive function,” continue to be a work-in-progress into adulthood. What does this mean for you? It means kids need to be taught the steps and then practise their problem-solving skills. And they need lots of coaching and mentoring along the way! So how do you teach your kids how to problem-solve? It is actually pretty easy. Problems are at every turn in our day, so there is no shortage of opportunities to help teach and practise these essential skills. Seize these! The first thing to do is help kids break down the steps of problem-solving. Identify the problem. Help kids to use their words to express what the problem is. In the above example it is as simple as saying, “Oh no, we have a problem, we ran out of milk.” Be sure to use ‘non-blaming’ words. Avoid saying things like, “How stupid, I forgot to buy milk,” or “Dad drank all the milk this morning.” Try to just focus on the problem. Evaluate the solutions. Ok, now time to decide on the best solution. Talk about the pros and cons. Help kids think through what might happen with their solutions. Younger kids might need some guidance here. This step really challenges them to see things from the point of view of others and imagine different ways of doing things. Try out a solution! Whenever possible, let your child choose the solution as long as it is safe and reasonable. Solutions that do not work are great opportunities for learning. In my case, dining out was not an option because it meant the kids would be late for school, but the next best solution of banana peanut butter wraps was a winner! Check in – is it working? The final important step of problem-solving is re-evaluation. Is the solution working for everyone? Is it still a problem? Do you need to try a different solution? If so, head back to Step 2 and try again. Use a visual check-list. When my kids were little, I used a visual check-list for all the steps. It was hung on the fridge and whenever problems crept up we would refer to it to help find solutions. It went a long way to keeping everyone calm and realizing solutions were always possible. Feel free to put the above picture on your fridge! Praise your child all through the process. Learning to solve problems is a real challenge and confidence booster for kids. Telling them you are proud of their efforts at every step will help motivate and empower them. Practise! The more you practise the problem-solving steps, the stronger your child’s problem-solving abilities will become. These steps work for simple problems like ‘no milk for breakfast’ to more complex problems like disagreements with friends. Start with the simple problems first. Resist the urge to jump in and solve their problems for them. Role-model. When faced with a problem, let your child see you using the steps to calmly solve your problems too. If your solution doesn’t work, be sure to share and show them how you double back to find another solution. Play games that promote thinking and problem-solving. Simple age-appropriate board games give kids the opportunity to practise problem-solving, like what can you do if you run out of money during Monopoly, or how can you strategize to get 4 in a row when playing Connect 4. Read stories that are about characters that face problems, overcome obstacles and deal with disappointment, like Pete the Cat – I Love My White Shoes. Great discussions and learning can come from reading these stories together. Teaching your children in the early years how to problem-solve is worth all the effort. While executive function is a work in progress until adulthood, having a solid foundation of problem-solving skills in the early and school years helps immensely when your child gets to the teen years. Trust me on this! Do you have favourite board games or books that help teach problem-solving skills? 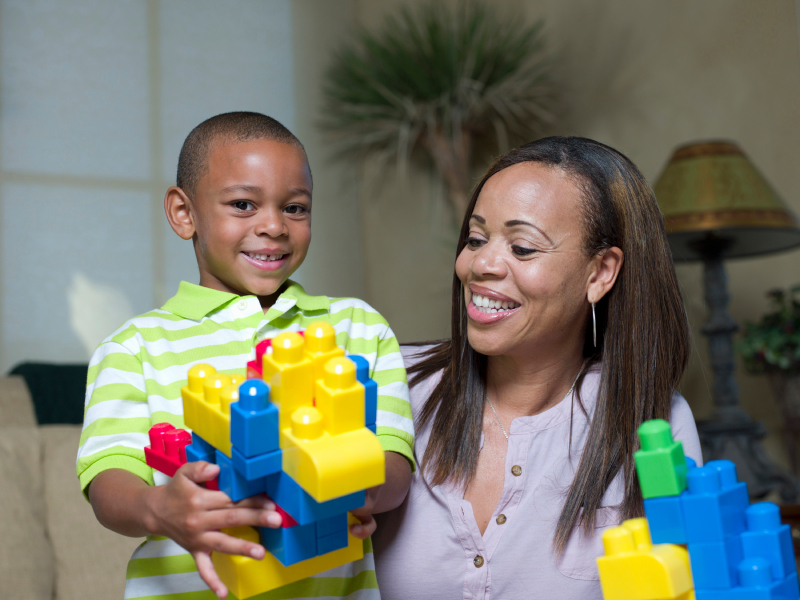 Do you have a story to tell about teaching your child how to problem-solve? Any tips you want to share? We would love to hear from you! This entry was posted in Children & Tweens, Emotional Well-Being & Mental Health for Your Child/Tween, Parenting, Parenting Your Child/Tween, Parenting Your Toddler & Preschooler, Play, Growth & Development, Preparing for Kindergarten, Toddlers & Preschoolers and tagged Executive function, preschoolers, problem solving, problem-solve, problem-solving steps, school. Bookmark the permalink. 1 Response to How to teach your child to problem-solve in 5 easy steps!